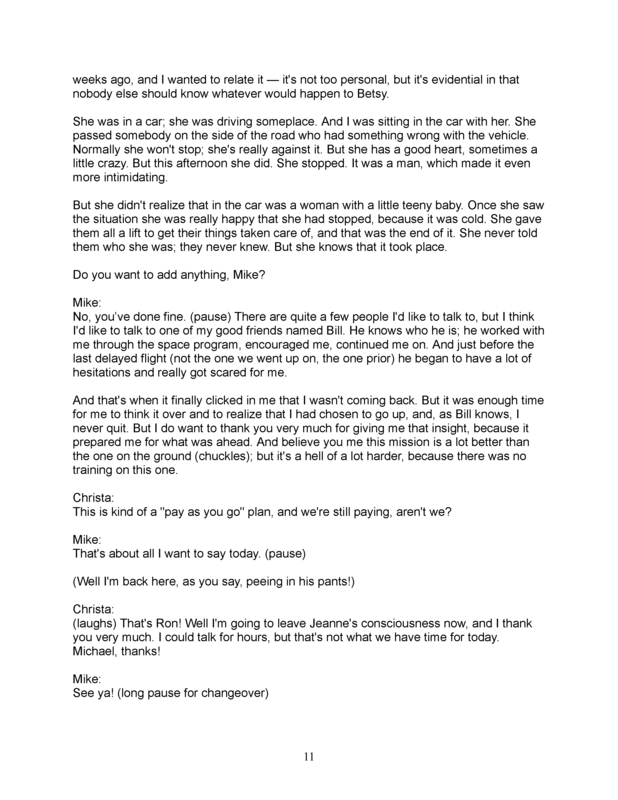 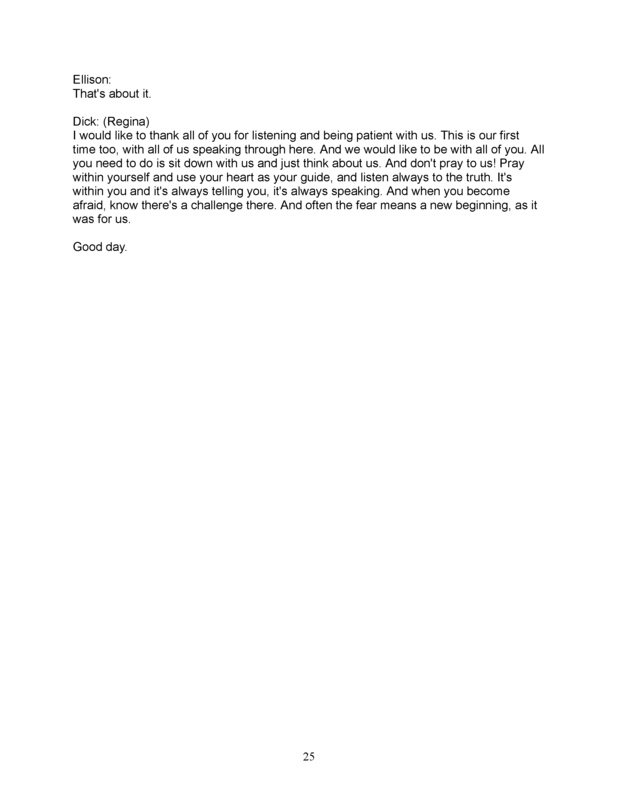 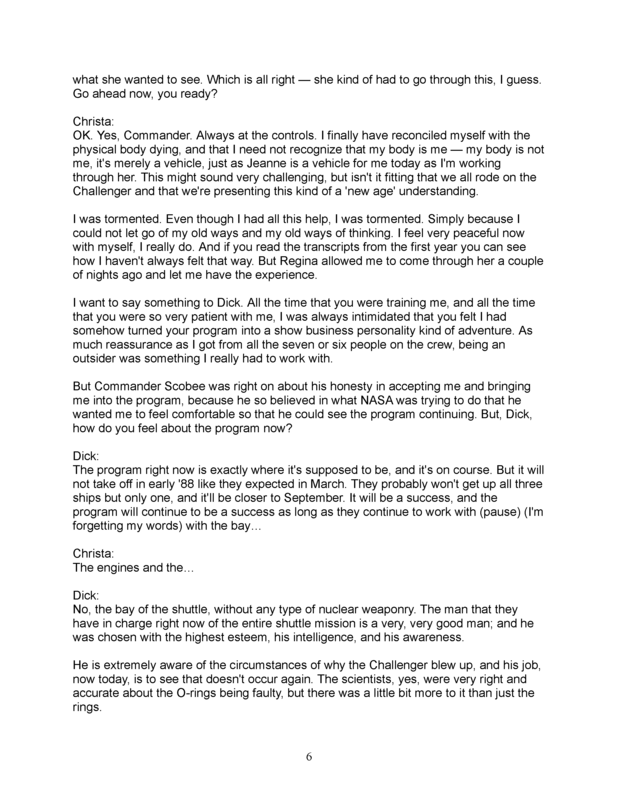 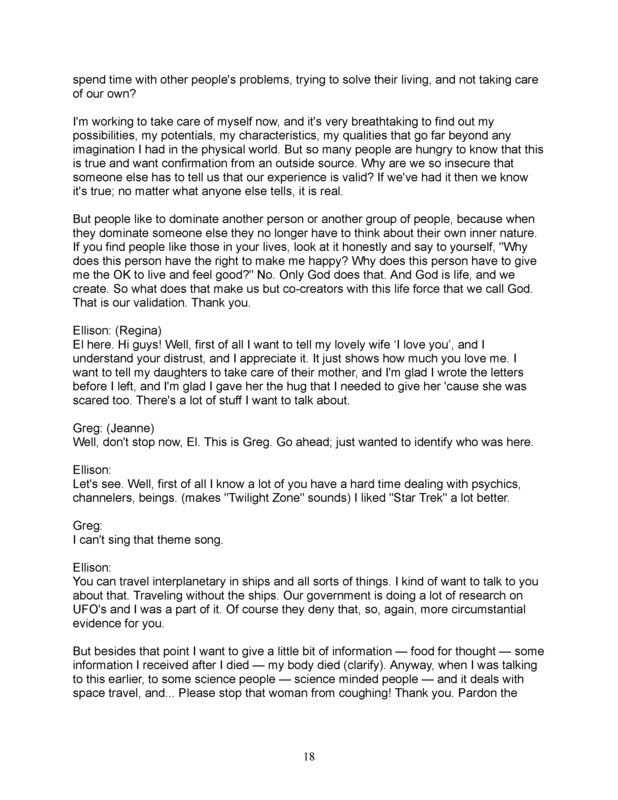 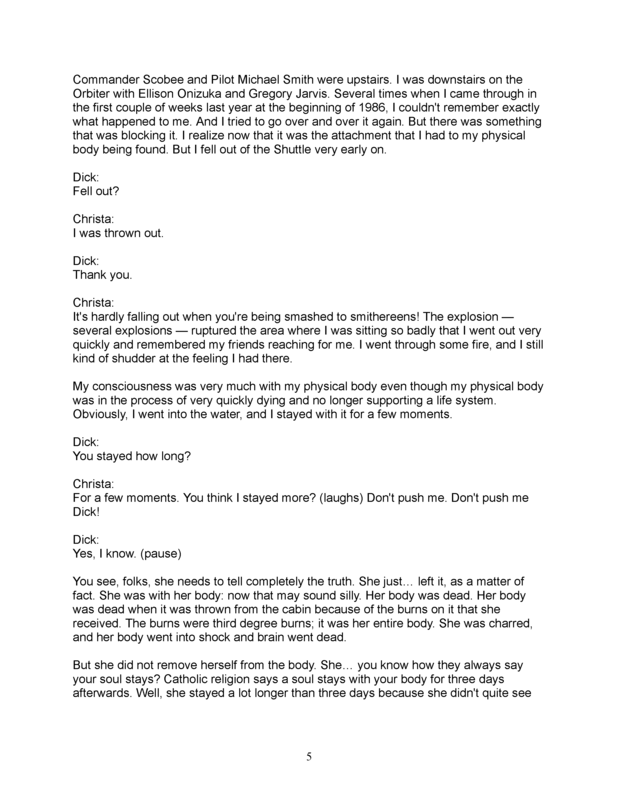 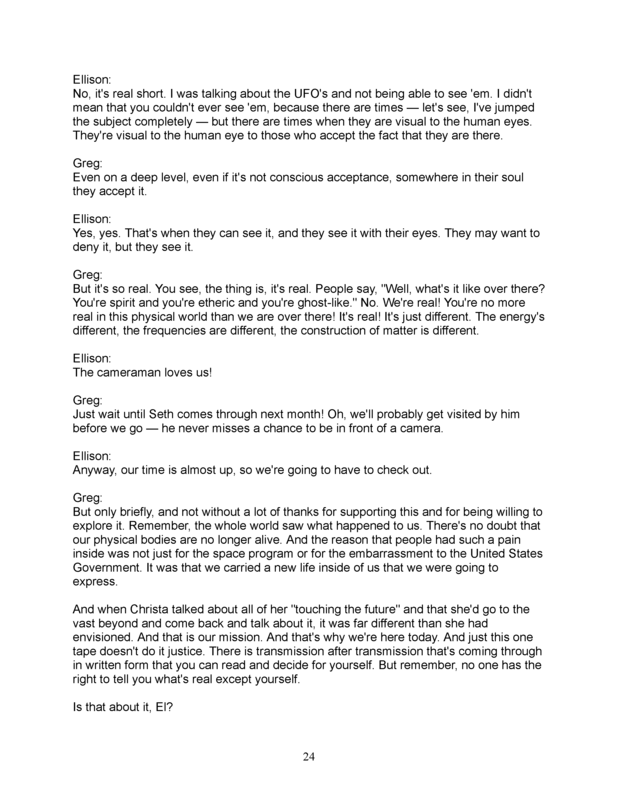 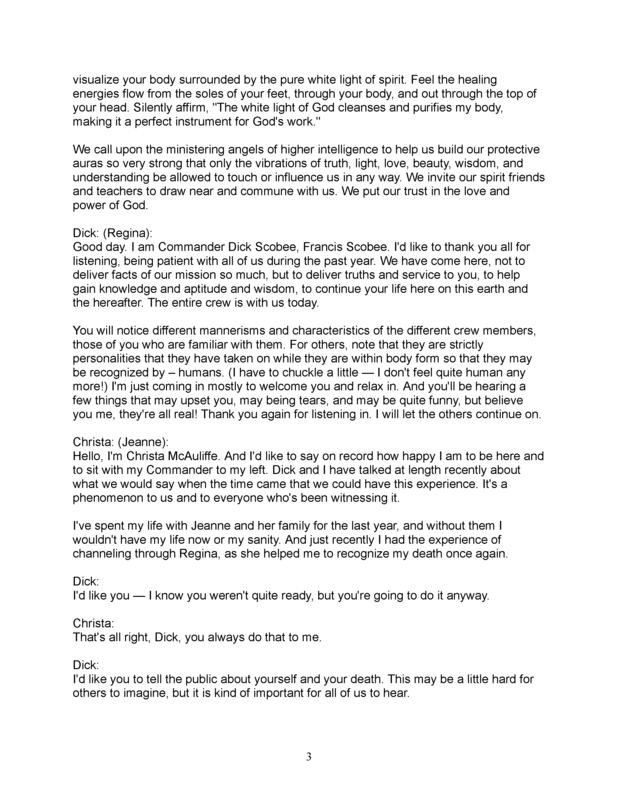 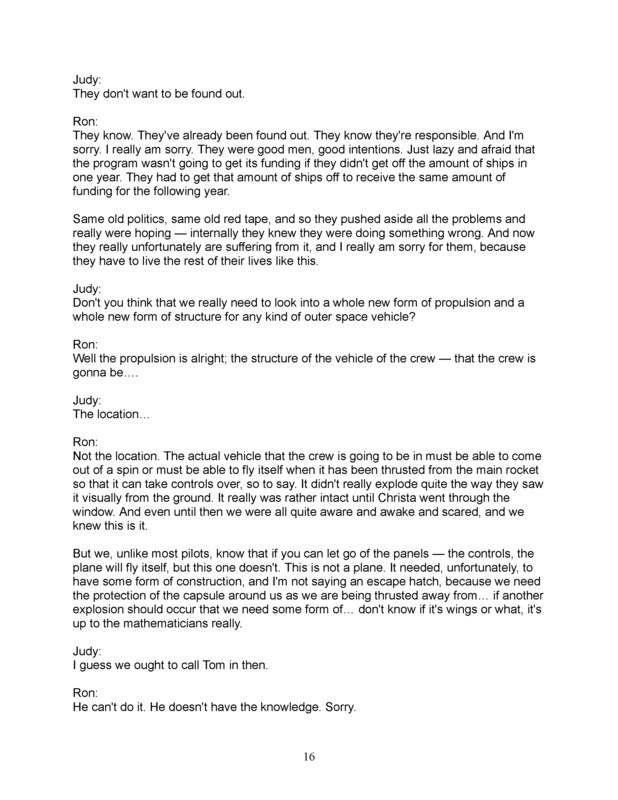 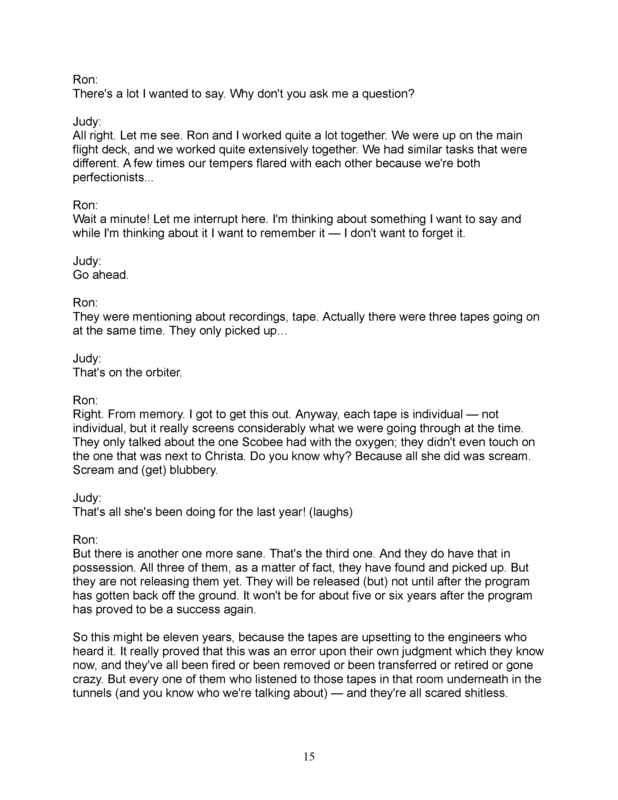 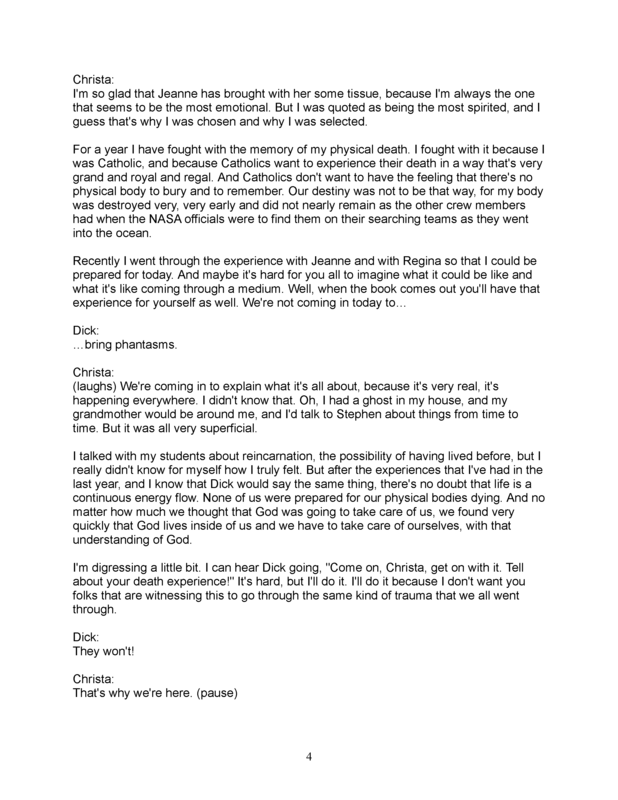 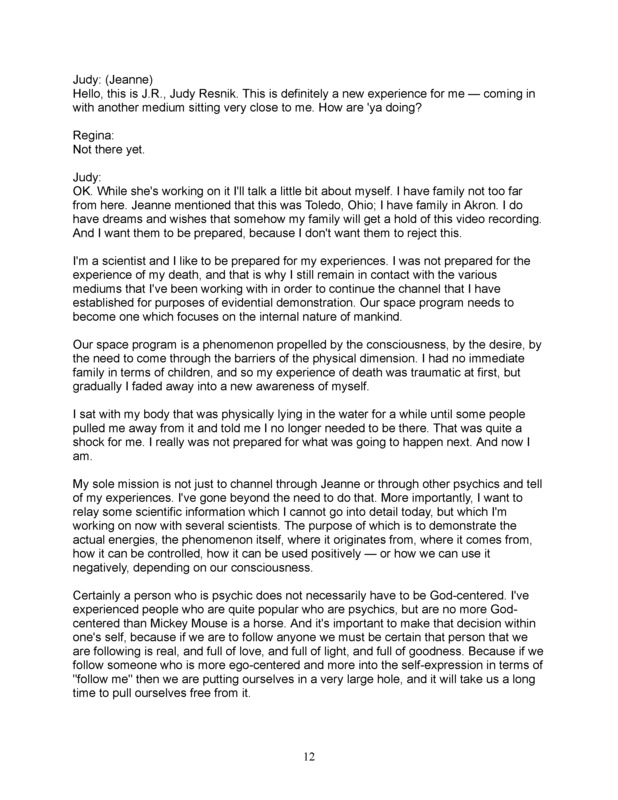 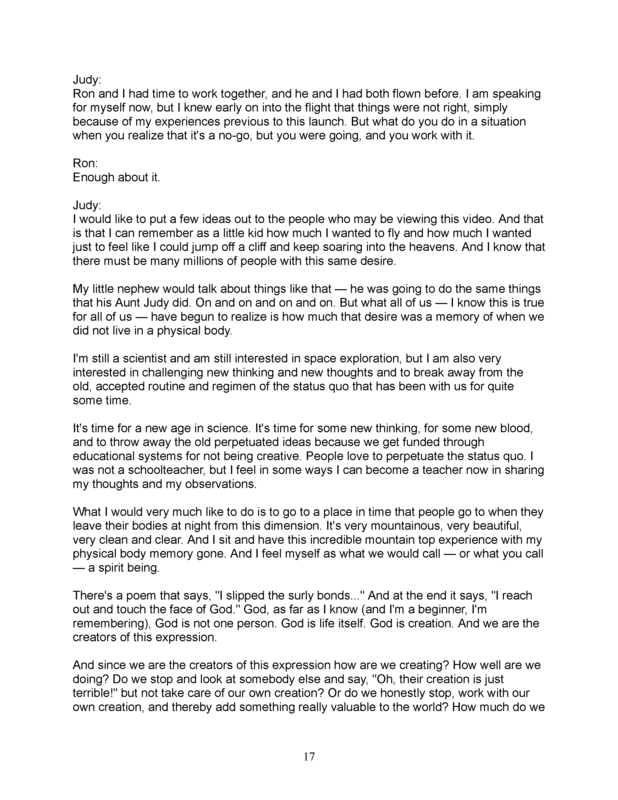 This is the transcript of the channeling of the astronauts on February 15, 1987. 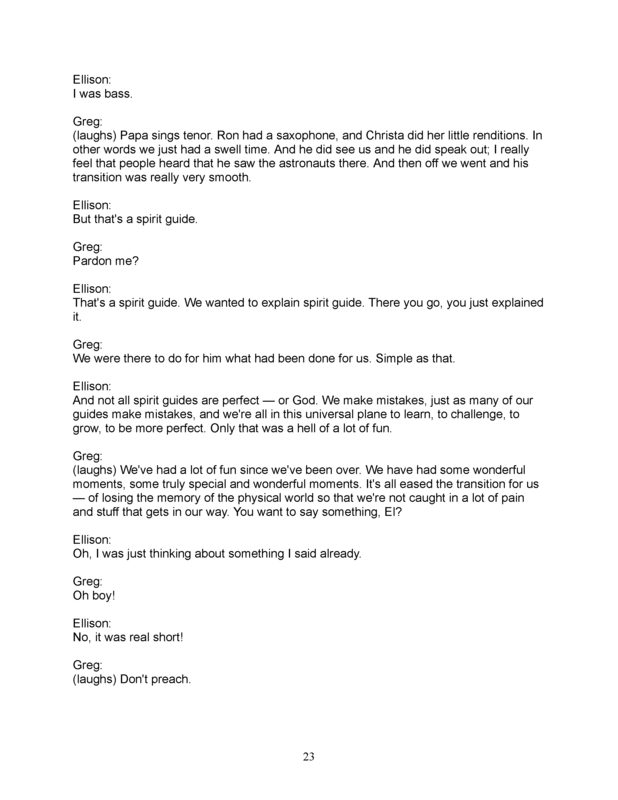 Since there were two channelers present, at times two astronauts spoke together. 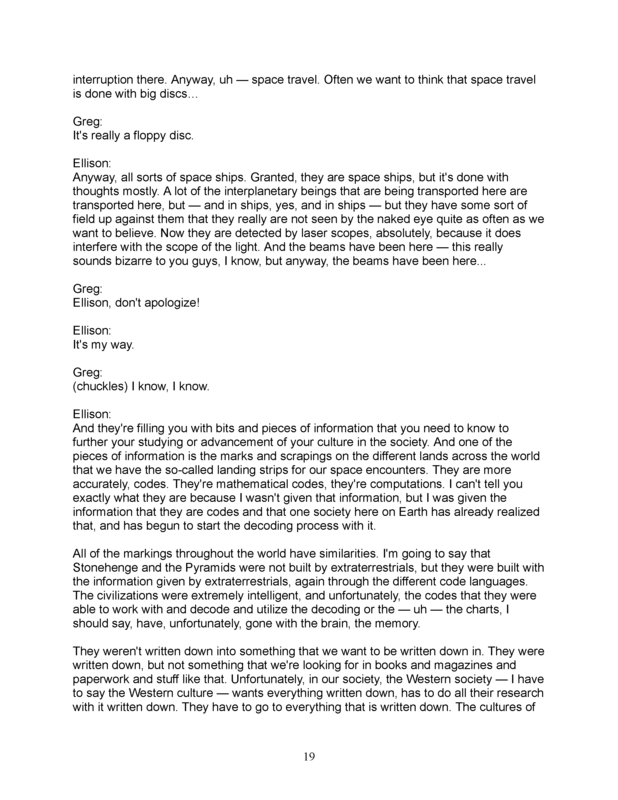 In each such case both astronauts are named below. 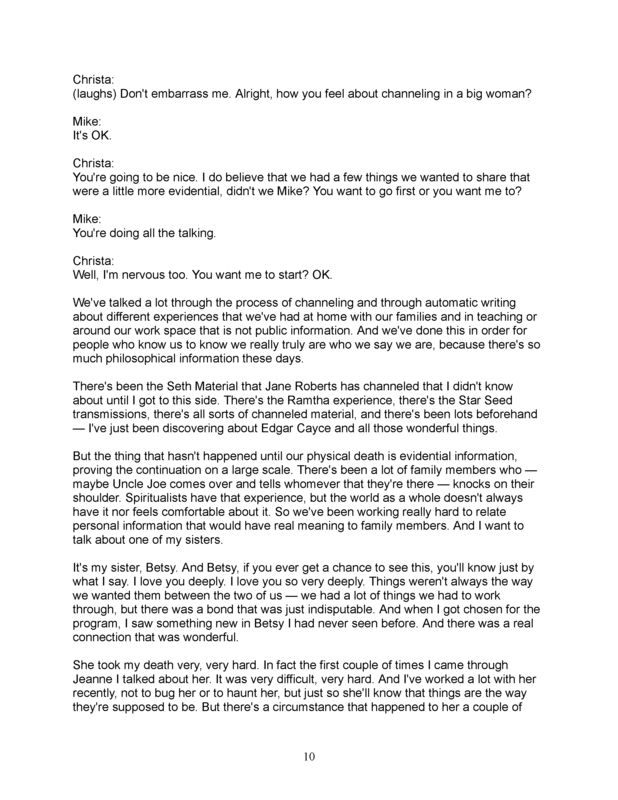 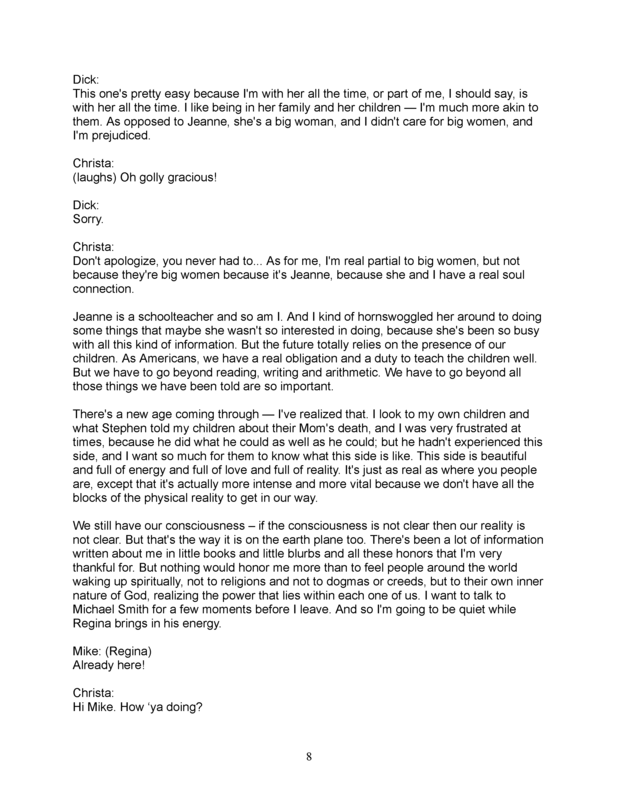 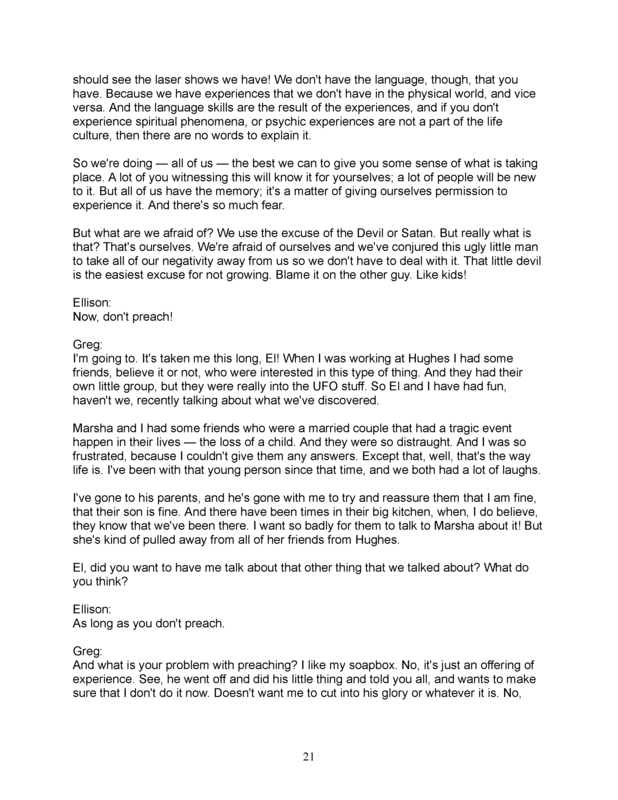 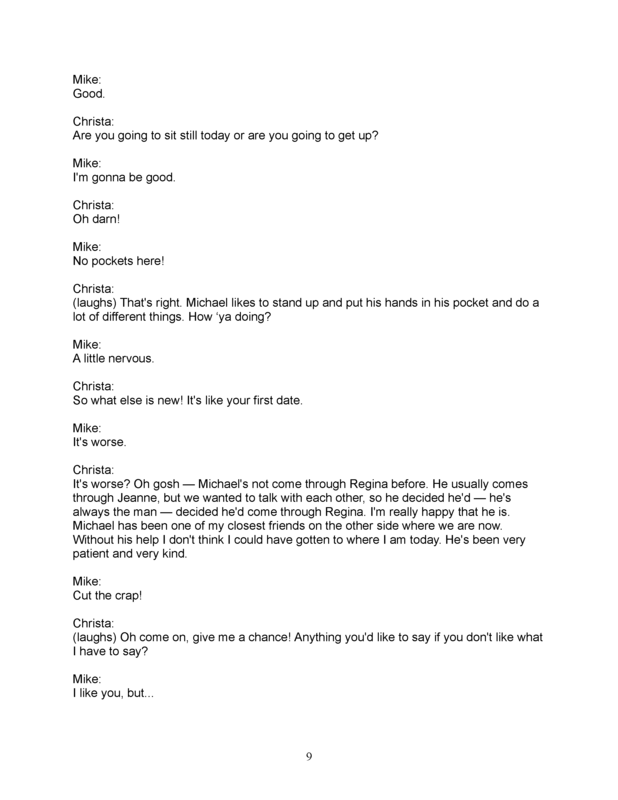 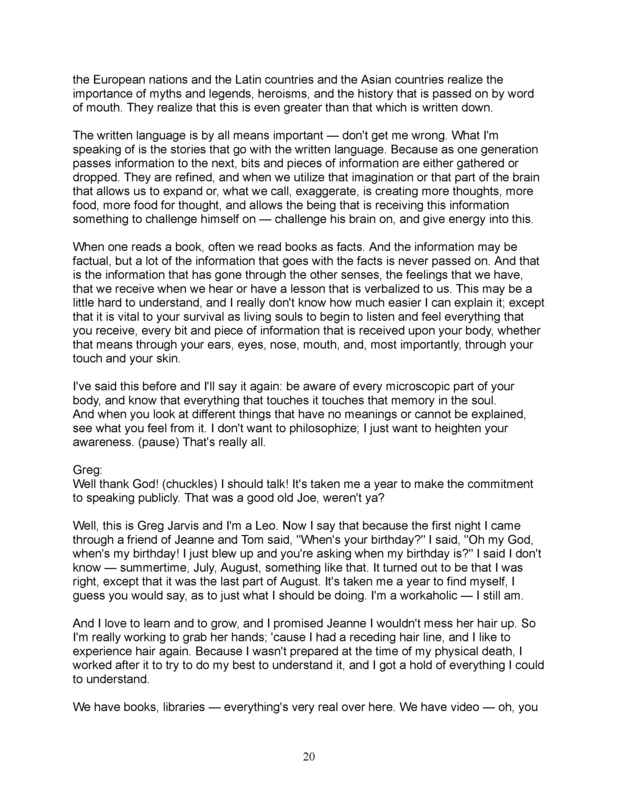 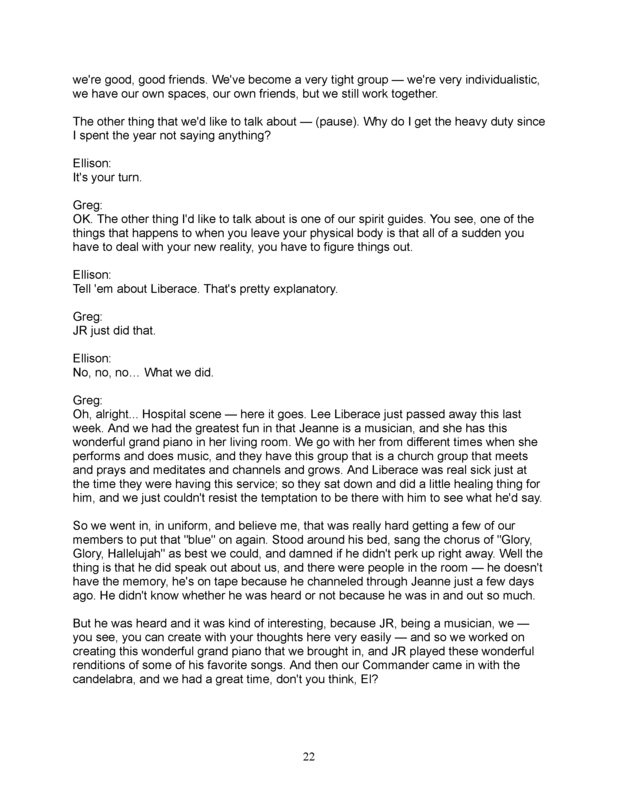 The complete PDF file of this transcript is available here.